Interactive Protection Services (IPS) is a technology integration company. We specialize in security, fire, camera, A/V, automation and computer networking. 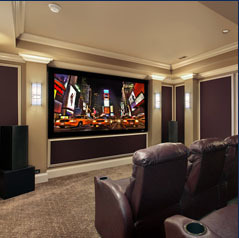 If you’re looking to mount a TV or install speakers, security or fire systems, cameras and home automation, IPS is the company for you! IPS proudly serves Columbus, Cleveland, and Cincinnati. Every homeowner fears the worst when they leave their home. Break-ins, vandalism, water leaks, fire, and more are possible while you’re away from your home. Home security is important for owners and their families to have peace of mind when they leave for work, vacation, or even a quick errand. Business owners have burglary, theft, and vandalism to worry about as well while they’re away from their business or office. A business security system in Columbus, Ohio will assuage those fears and ensure the welfare of a business. The best way to ensure home and business security is to hire a company that specializes in home and business security systems in Columbus, Ohio. When looking for home security systems in Columbus, Ohio, make sure you hire the best company that can install a variety of features, creating additional layers of security. Basic alarm systems have advanced to the point where people can access real-time information from mobile devices or be notified if motion sensors are triggered. More advanced alarm systems integrate automatic locking mechanisms, so someone can set the burglar alarm and lock doors and gates with their phone right before bed. Interactive Protection Services can install the best home security system in Columbus, Ohio to protect your house and property. Let state-of-the-art technology protect your assets and save you money with fully-integrated and interactive business security systems in Columbus, Ohio. Features such as access control, virtual guards, smart cameras, and fire alarm and life safety systems are just a few of the layers of security that come with IPS’s business security systems. 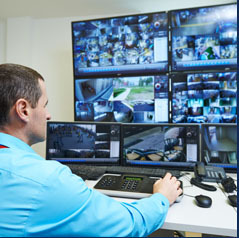 Control which personnel have access to buildings and spaces with biometric or key card systems and let IPS remotely monitor your site with live video and audio communications with virtual guards. 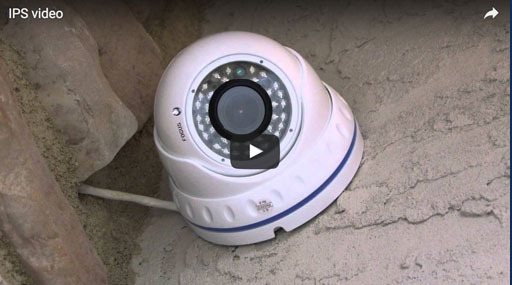 Smart cameras are an emerging trend as a necessary addition to business security. Built-in analytics identify whether a person entered an area, or if it was simply a stray animal. Let trespassers know that the area is being actively monitored with smart camera additions to protect your business. Call IPS to install your custom business security systems with top-of-the-line integrated technology and security features. IPS specializes in security, fire, camera, AV, automation, and computer networking to create technology and security solutions in Columbus, Cleveland, and Cincinnati, Ohio. We are the premier provider of the best home and business security systems. Our high-trained and skilled professionals will design and install the perfect solution for you, personalizing each aspect to fit your home and business security systems needs. IPS’s professionals are with you every step of the way to ensure you get the experience you desire and deserve. Call IPS for your home and business security system solutions or for a free 30-minute service call and technology review at 740-483-0823 or fill out our online contact form. We hired Dominic and his team to install cable wiring for our 2-story condo rental. His team member showed up on time, he was so nice, and he was creative about how he installed the wiring so that it looked nice for our renters. I highly recommend Dominic and his team! IPS was fantastic to work with on the installation of my surround sound and mounting my television in my home. They not only were knowledgeable about all the facets of the installation, but took time to walk me through the various components after the installation was finished. Lastly, their price was very competitive, and they stayed right on budget which was greatly appreciated. Would recommend them for any home audio needs! From the proposal to the agreement and acceptance to the installation to the added features after installation, Dom & his team were the leaders of the pack! Dominic was a great guy to work with. He is ex-military and a family man so he really has a great sense of responsibility and is determined to get the job done the first time even if it takes longer. Get Dom to mount your TV and you won't be sorry!